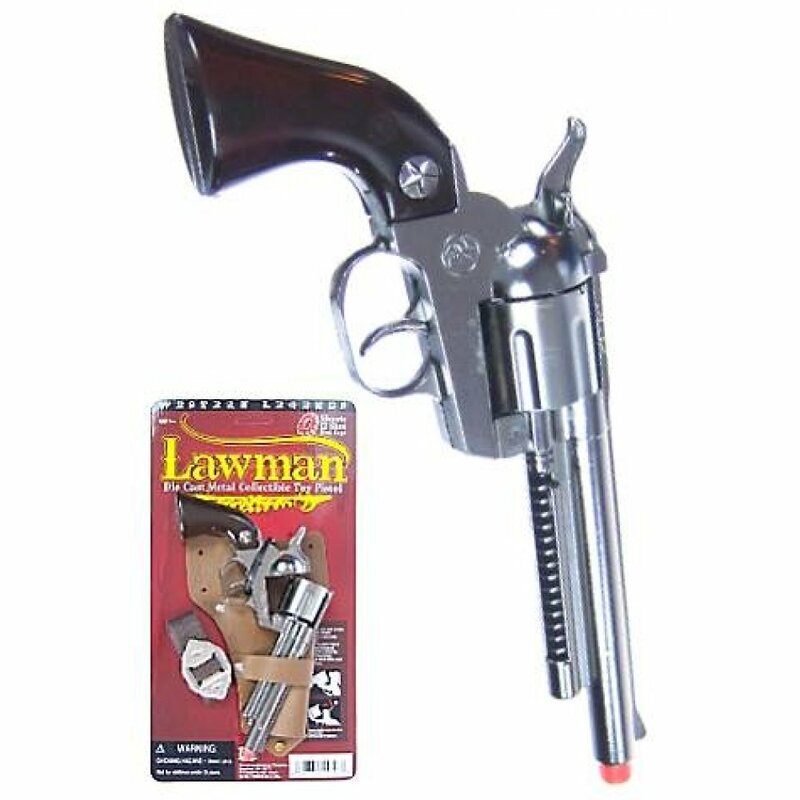 Our beautifully detailed die-cast Lawman gun set features a high quality silver gun with a shiny brown handle . 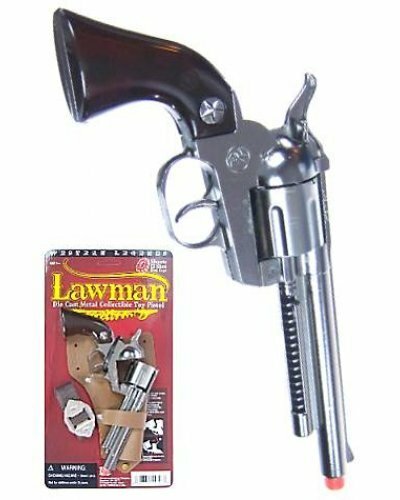 This Spanish-made heavy-duty metal gun includes a 12 cap chamber, a real trigger and hammer action. 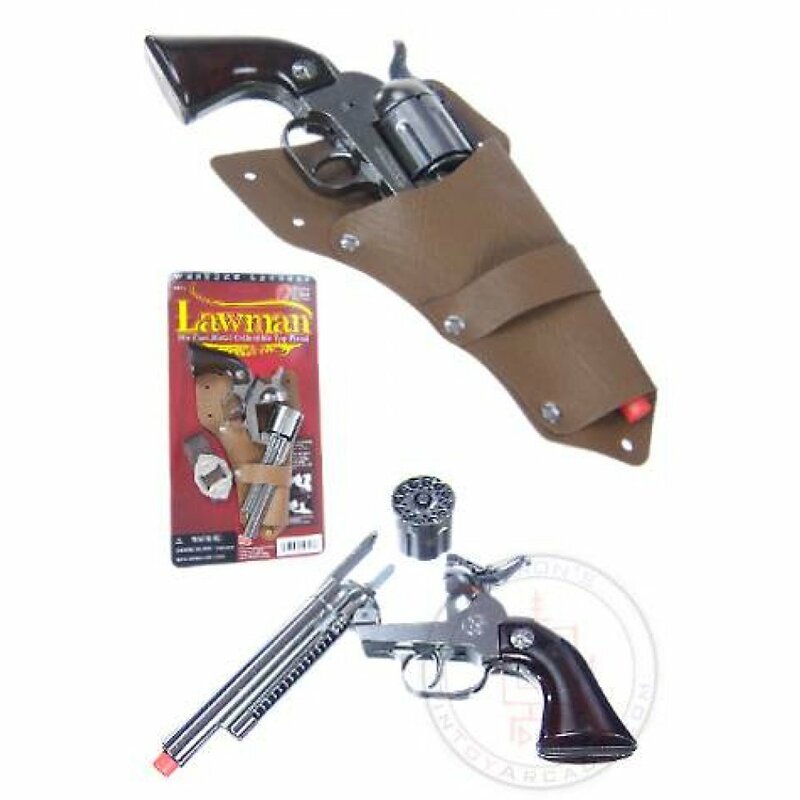 The brown holster, belt, simulated wood handle and red tip are all safe plastic. Imagine that you are an outlaw in the wild west! Don't forget your ammunition with our Western 12 Shot Ring Caps Refill. 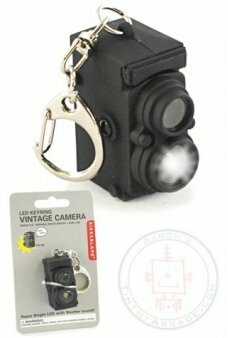 Package: Black Mounted Card - "Lawman Replica Revolver Toy Cap Pistol"
Our adorable Vintage Camera Keychain features a flashing LED lens and real shutter sound. 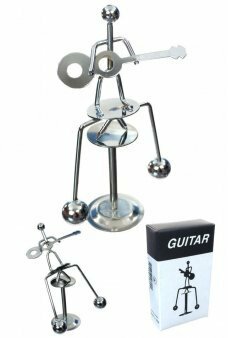 Push the s..
Our tiny silver Guitar Player rocks and balances as he holds his accustic guitar. Just nudge the Pla..
Wind-up our cute Long Ears Bunny and he walks quickly along. 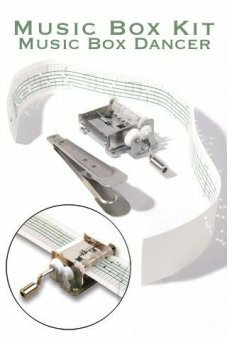 Available in an assortment of happy col..
You have to smile when you finally solve the Smiley Face Slide Puzzle. You get 2 puzzles, so you ca.. The Amazing Magic Stick changes color into the spectator’s chosen color! Trick your friends and fam..
Our large Deluxe Atomic Alien Black Spnning Space Gun has a leather-like soft black finish. Our Delu..